← Don’t tell me, show me. 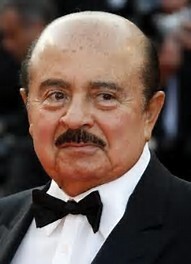 My friend, Adnan Khashoggi passed away yesterday in London. His family sent me his obituary. Adnan Khashoggi – Obituary Adnan Khashoggi, who died on 6th June 2017 in London, was a commercial pioneer and political negotiator par excellence. He was lucky to be in the right place at the right time, but his deals were based upon strategic vision and extraordinary charm. Born on 25 July 1935 in Mecca, Khashoggi’s early years were spent among some of Saudi Arabia’s most influential figures. The son of the personal physician to the founder of modern Saudi Arabia, Ibn Saud, Khashoggi had a privileged childhood. He attended the prestigious Victoria College in Alexandria, where his classmates included Hussein bin Talal, the future King of Jordan. It was at school that Khashoggi first learned the commercial value of facilitating a deal, bringing together a Libyan classmate whose father wanted to import towels with an Egyptian classmate whose father manufactured towels, earning USD 200 for the introduction. Khashoggi’s subsequent education at California State University would serve as a launch pad for his commercial career. At a time when very few Saudis travelled abroad, he was able to immerse himself in a culture that would be integral to the development of his homeland. While at university, Khashoggi used his newly acquired access to the West, as well as his influential contacts in Saudi Arabia, to serve as an intermediary between the nations. In one of his first big deals, a large construction company was experiencing difficulties with the trucks that it used on the shifting desert sands. 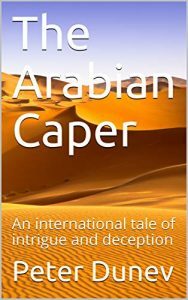 Khashoggi, using money given to him by his father for a car, bought a number of Kenworth trucks, whose wide wheels, like a camel’s foot, made traversing the desert considerably easier. Khashoggi made his first USD 100,000 selling the trucks to the construction company, and became the Saudi Arabia-based agent for Kenworth. With this money, he traversed the globe, introducing Western companies to the growing Saudi market. Khashoggi became an advocate and negotiator for the defense relationship between Saudi Arabia and the West. Khashoggi provided advice, strategy, and structures for government defense contracts. In the 1960s and 1970s, Khashoggi helped develop the Saudi defense sector during a period in which the young Kingdom felt threatened by the rise of nationalist movements in the region. While representing US, British and French defense companies engaging with the Saudi government, Khashoggi guided Saudi strategy to ensure that the Kingdom obtained the best equipment, while hedging its relationships, acquiring a proportion of equipment from each. Khashoggi’s connections in both the Arab World and West allowed him to negotiate with the Sudanese government for the airlift of thousands of Ethiopian Jews from Sudan during the famine caused by the Ethiopian Civil War. In order to facilitate the evacuation, which became known as Operation Moses, Khashoggi hosted Ariel Sharon and President Gaafar Nimeiry of Sudan, a long-time friend, at his ranch in Kenya. Because of his involvement, Yasser Arafat, previously a friend of Khashoggi, ordered his assassination. Khashoggi subsequently requested a meeting with Arafat, challenging him to carry out the threat in person. The meeting ended with an embrace – so resumed their enduring friendship. It was the Iran-Contra affair that particularly earned Khashoggi the description of ‘arms dealer’, a term he loathed. This was one defense deal brokered by Khashoggi that did not involve the Saudi state. Khashoggi had been approached by a contact in Paris with access to the moderate faction within the Iranian regime who wanted to resolve a hostage crisis in Lebanon in which the Shia militia group Hezbollah was holding seven US nationals. Khashoggi, seeing an opportunity to de-escalate tension in the region, took this information to his contacts in the CIA. After the CIA consulted with President Reagan, the arms-for-hostages’ proposal was given the go-ahead. Under the terms of the proposal, Khashoggi financed a shipment of weapons to be sent from Israel to Iran, which was halfway through a bloody ten-year war with Iraq, in return for the release of the hostages. Unbeknownst to Khashoggi, the CIA later decided to divert a portion of the proceeds from the arms deal to the Contras, who were fighting the left-wing government in Nicaragua. This modification, which contravened US legislation prohibiting the provision of assistance to the right-wing rebel group to overthrow the Nicaraguan government, was eventually exposed. The Reagan administration’s clandestine deals with both Iran and, separately, the Contras, scandalized America. Following the Iran-Contra debacle, Khashoggi attracted considerable international attention. He was arrested in Switzerland in 1989 and subsequently extradited to the US to stand trial for his alleged involvement in hiding the assets embezzled by the recently deposed President of the Philippines, Ferdinand E. Marcos and his wife, Imelda. Having maintained his innocence from the start, Khashoggi was cleared of any wrongdoing in 1990. The case, which was described by jurors as a farce, was led by Rudy Giuliani. Always amiable and with a wicked sense of humor, seeing Giuliani at a restaurant in New York several years later, Khashoggi embraced the prosecutor in a bear hug, to the enormous embarrassment of the future Mayor of New York. Shortly after being cleared of any links to the Marcos’ millions, Khashoggi’s business empire, Triad America Corporation, began to experience severe financial difficulties. Despite a number of hugely successful investments during the 1970s and 1980s, which including banking, hospitality, and mining interests around the globe, a USD 400 million real estate project in Salt Lake City filed for bankruptcy after creditors demanded payment. Khashoggi’s subsequent difficulties were largely the result of the judge allowing the opposition to ‘pierce the corporate veil’, thereby enabling creditors to pursue him personally, rather than the liabilities being held by his companies – something the current US President has avoided on four occasions. Although his business activities were much reduced, Khashoggi spent his remaining years bringing together people whose interests were aligned, both as a business consultant, and political matchmaker. For example, he introduced Yasser Arafat to Shimon Peres and Yitzhak Rabin, which helped bring about the Oslo Accords in 1993. Spending his final years between Saudi Arabia and Europe, surrounded by his family, Khashoggi died while being treated for heart failure. He is survived by his widow Lamia, eight children and four grandchildren.